To determine how best to use these tools, 25th Ward Alderman Shane Cohn requested that the Streets Department and their consultants undertake a traffic study in the ward. The report of existing conditions is now complete, and 25th Ward residents are invited to come see the results and offer their feedback. 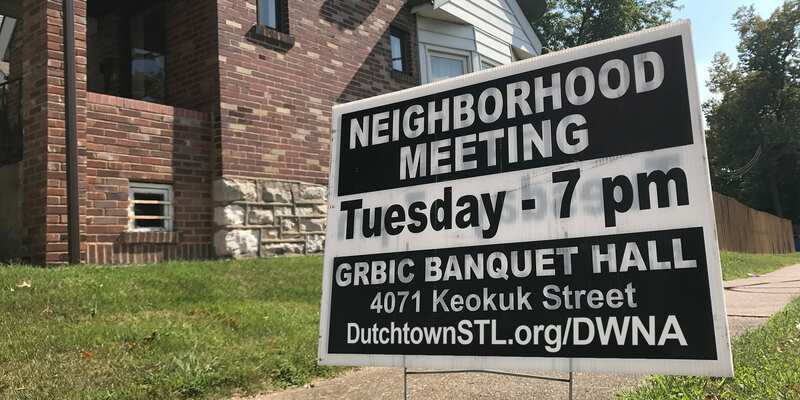 The June meeting of the Dutchtown West Neighborhood Association is open to all residents of the 25th Ward. The Streets Department and consultants will be on hand to receive your feedback and answer your questions. Let them know where you’d like to see speed humps, safer crosswalks, narrowed streets, or improved signage. The meeting is at 7pm in the banquet hall at Grbic Restaurant, 4071 Keokuk at Meramec. In addition to the traffic study discussion, Ald. Cohn and 25th Ward Neighborhood Improvement Specialist Christian Saller will be available to talk about other neighborhood issues. If you’re unable to attend, you can view the existing conditions report. After that, take a survey to let your traffic and safety concerns be known. This post was updated on June 11, 2018 . Read more news about 25th Ward, Dutchtown, Meetings, and Traffic Studies.